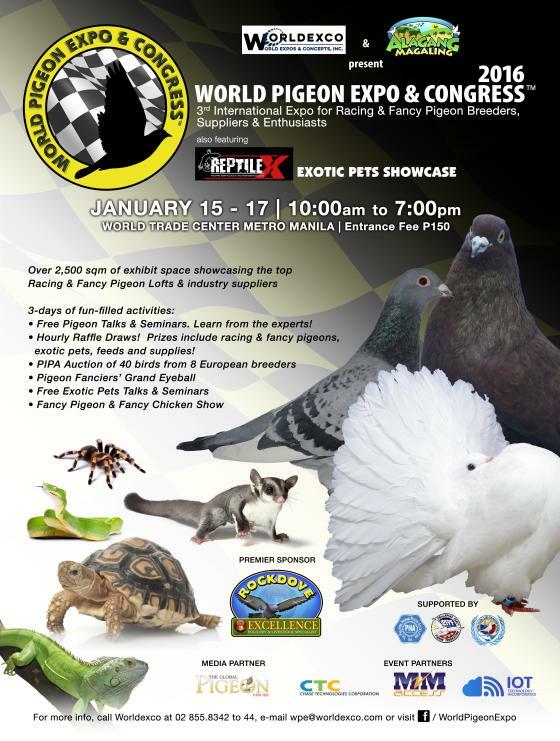 Among the exhibitors in the Pigeon Expo 2016, are NewTree, your one-stop shop for livestock and poultry supplies, renown for their Hi-Flyer and Sky High Feed Mixes [for Breeder and Flyer] used by local champion pigeon racers. Get your hobby supplies from them at the Expo. See you there!